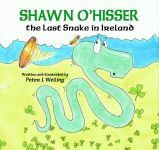 St. Patrick settles in for a much-needed nap after driving the evil snakes from Ireland; however, one clever snake escaped the ring of his miraculous bell. Just in time to witness the sneaky snake stealing the bell from St. Patrick’s side, Tulla mouse knows something must be done. Realizing she cannot accomplish such an important task on her own, she calls upon the help of her friends, Ryan and Brian. The three mice work quickly to devise a plan to return St. Patrick’s bell, but they know it will not be easy. Despite the fact these mice are no match for the snake in size and wit, their desire to right a wrong encourages them to work together. After putting their plan into action, the three mice are successful in returning the bell to St. Patrick, and all rejoice when Ireland is finally free of every snake. This endearing story provides a big lesson from characters of a very small size. Playful language accompanied by Celtic-inspired illustrations makes this hopeful tale of three brave mice a great lesson of teamwork and the ability of good to triumph evil. Joyce A. Stengel worked as a registered nurse for twenty years before she followed her passion of writing and received a BA in English from the University of Hartford in 1980, followed by a MFA from Central Connecticut State University in 1988. She has since published five books, three of which were selected as an Aladdin Scholastic Book Fair Choice. Herb Leonhard has worked as a freelance illustrator and graphic designer for more than two decades, specializing in children’s book illustrations. He has also designed various promotional materials in support of local and national charities. Leonhard has won numerous gold, silver, and merit awards. Click here for Chapter 1. Click here for the Front Matter. 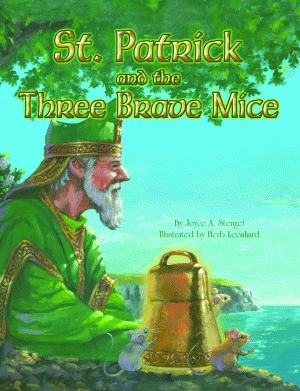 Click here for the educators' guide for St. Patrick and the Three Brave Mice.